Portland, Oregon is known as ‘the beer capital of the world’, more varieties of the drink are made here than anywhere else. 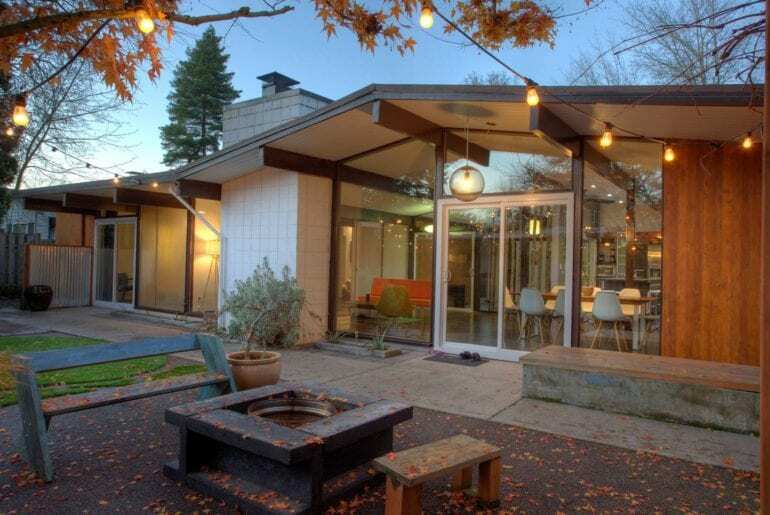 Airbnb Portland Oregon options are fantastic. It is also known for a great foodie and restaurant scene containing top rated restaurants and hundreds of food carts. 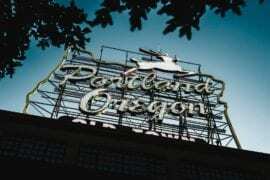 Portland is a safe and friendly city, home to 22 million people and completely bicycle friendly. For outdoor types, its located close to areas of great natural beauty, mountains, and lakes. This private historic cottage is located in a quiet tree-lined area. Winner of Sunset Magazine’s award for Best Small Home, this cottage is close to one of the hottest bar and restaurant areas of Portland. 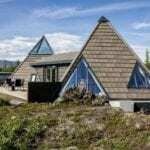 $150 per night! This 4 bedroom home Located on 7 quiet and secluded acres but just 5 minutes to popular bars, restaurants and the popular Pearl District. 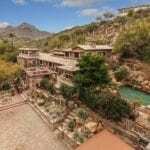 This features hiking trails on its own private grounds, as well as a meditation garden for those of you so inclined. It’s steal at $191 per night. 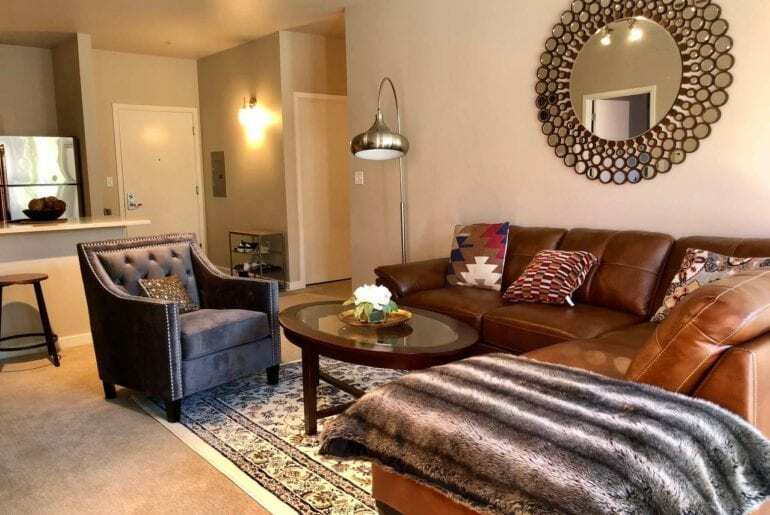 This beautiful 2 bedroom apartment is located in Portland’s famous Pearl District. Full of bars restaurants and shops this property is close to everything. The apartment features a large balcony, WiFi, and private parking. $195 per night. 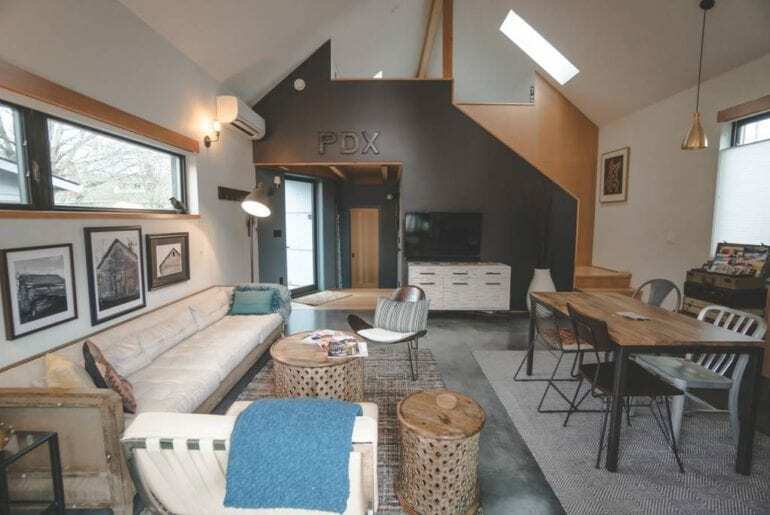 This completely restored 1908 bungalow was featured in the TV program ‘Portlandia‘, which is very, very cool. 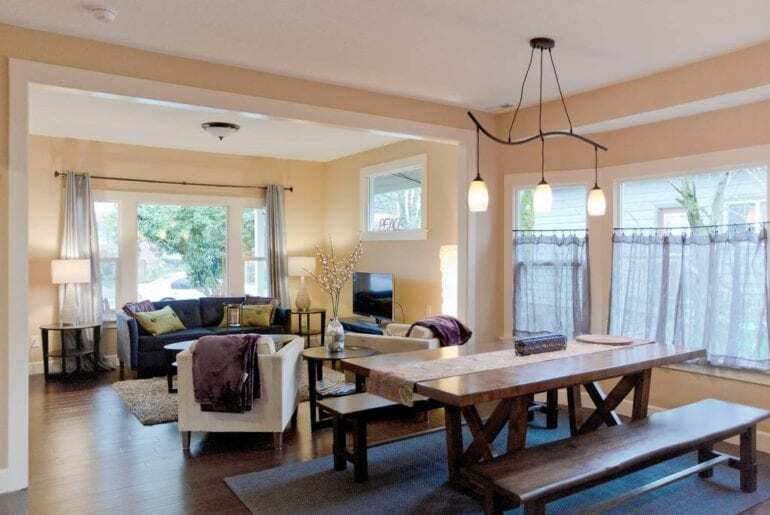 This light and airy home has 2 bedrooms and hosts up to 5 guests. 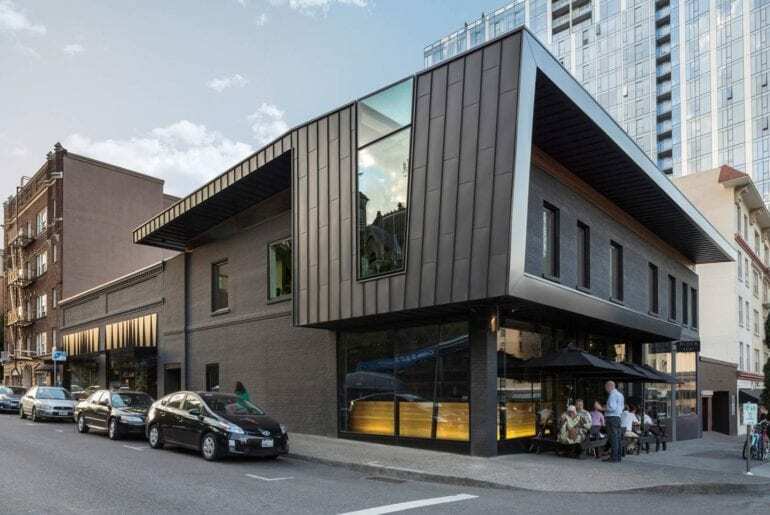 There’s a fully equipped kitchen and all that jazz, and it’s just a great base from which to explore Portland. $165 per night ain’t too bad for a piece of television history! 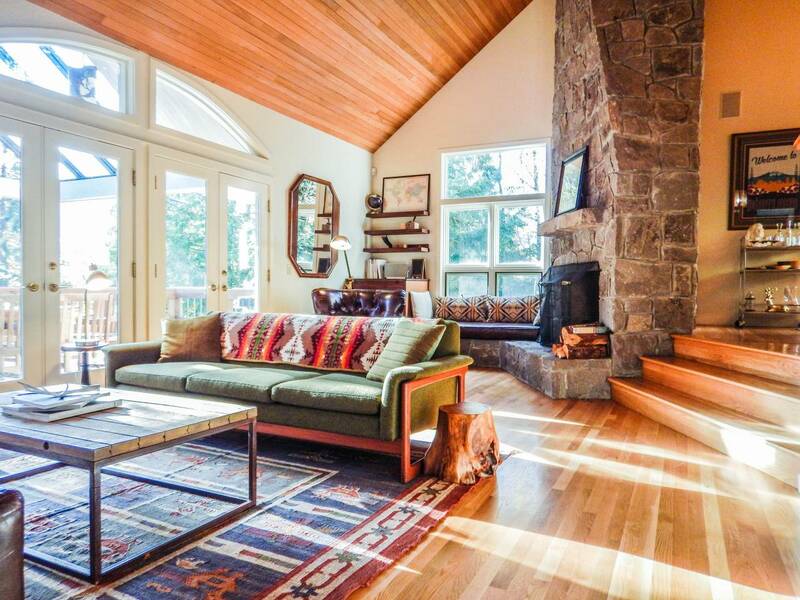 This 2016 barn is in a typical Portland neighborhood but offers a quiet retreat. 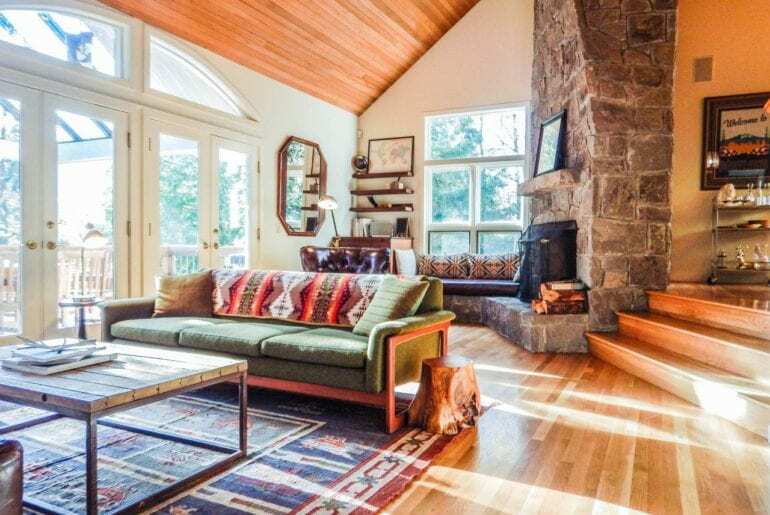 Built in the style of a contemporary Swedish barn house this home is located close to some of the best restaurants and eateries that Portland has to offer. $180 per night. 3. 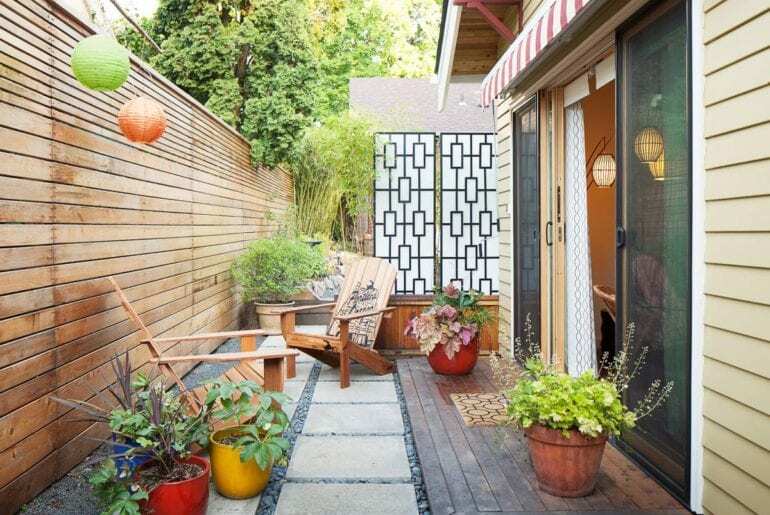 The Portland Villa on Alberta St.
A 2800 square foot home with huge rooftop deck situated in the Alberta Arts area. Inspired by old Italian firehouses, this custom property is full of character and charm. Located steps away from endless dining and entertainment options. $350 per night. Located in an iconic building in Portland’s West End, this 1 bed , 1 bath studio apartment has a private secure entrance and courtyard. Located close to the cites most popular urban zones and features an endless choice of shops, bars, and restaurants. $150 per night. Bright and spacious updated 1960’s ranch home. Features an open floor plan and enclosed atrium. 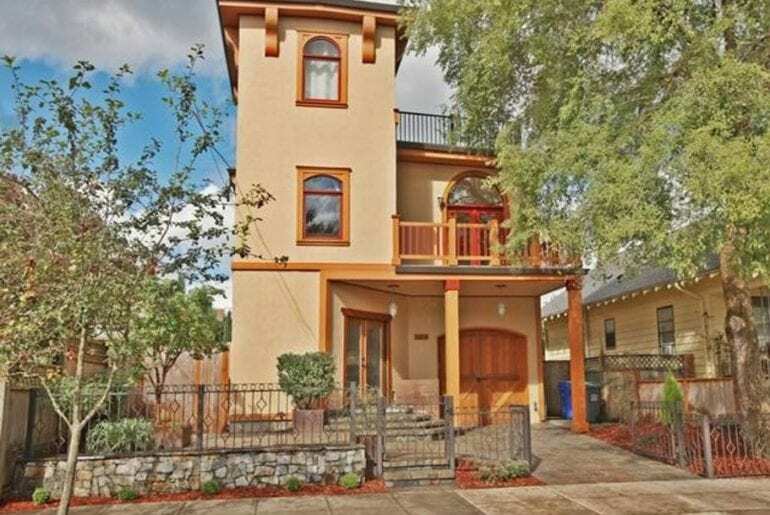 This home is close to many popular Portland neighborhoods. It can accommodate up to 9 guests, has a Jacuzzi tub, and a private back yard, with a fire pit and hammock. $250 per night.